Most CEOs and CFOs are well aware of the importance of business planning and creating a formal business plan document. Not as many, though, give as much thought to strategic planning. In fact, many CEOs and CFOs believe that business planning and strategic planning are the same thing, but they’re not. Strategic planning focuses on the big-picture—the strategies your company will employ in order to reach its goals and objectives. In particular, it focuses on your organization’s vision, mission and values. Business planning, on the other hand, is more tactical in nature, focusing on the action items and steps necessary to make the strategic vision a reality. The ability to be more proactive — With a strategic plan in place, your company can be more proactive in making moves that will help you achieve your long-term objectives, instead of being reactive to outside forces that you can’t control. Alignment of business and employee goals — By sharing your strategic plan throughout the entire organization, you can help ensure that everyone is moving in the same direction, rather than struggling (perhaps inadvertently) against one another. Better allocation of resources — Every organization has a finite amount of resources, both human and financial. A strategic plan can help you allocate these in the most efficient way that’s consistent with achieving your long-term goals. Smarter identification of new opportunities — As a CEO, you need to be selective about which new opportunities you devote resources to—and just as importantly, which ones you avoid. A strategic plan can help you make better choices about how you allocate your company’s limited resources. The first step to successful strategic planning is to make a firm commitment that you and your management team will set aside the time to actually do it. Ideally, you will block out one or two full days for your strategic planning session, during which time you will head to an offsite location where you can minimize distractions and get serious about planning future strategy. It may be wise to hire an outside facilitator to come in and lead your sessions in order to get some outside-the-box thinking and perspective. If possible, choose someone who is familiar with your industry and can share best practices that have been successful with companies similar to yours. 1. Human resources — Many companies say “our people are our greatest asset,” but their actions speak otherwise. Without top-notch employees who are committed to the long-term success of your organization, the rest of your strategic planning efforts will be for naught. So start your planning with an in-depth analysis of your employee base—and how you can deepen and strengthen it. 2. Your competition — Trying to plan without acknowledging who your competitors are is like sticking your head in the sand. Conduct a detailed competitive analysis that identifies your chief competitors and their strengths and weaknesses, and then formulate a marketing plan designed to capitalize on this knowledge. 3. Your unique selling proposition (or USP) — What is it about your company and its products or services that distinguishes it from your chief competitors? Are you the low-price leader, or do you emphasize high quality and/or exceptional service in exchange for a premium price? Your sales and marketing efforts will spring from your answers to these questions. 4. Operations — Step back and take a fresh look at all the procedures that make up your workflow, manufacturing processes and delivery of products and/or services to your customers. Look for ways you can tighten things up and increase efficiency by doing more with less. 5. Growth and financing — Growth is part of almost every company’s strategic plan, but many fail to anticipate and plan for the impact that growth will have on cash flow. You should carefully monitor your cash conversion cycle (the length of time from outlays of cash for raw materials, inventory, overhead, etc. until cash is collected) to see how it might be impacted by growth, as it’s not uncommon for fast-growth companies to grow themselves right out of business. Setting aside time for strategic planning is one of the smartest things that Los Angeles and Southern California CEOs and CFOs who want to prosper in the future can do. It’s easy to put strategic planning on the back burner, as there are always more pressing priorities, but the investment of time spent planning strategically will be returned many times over. 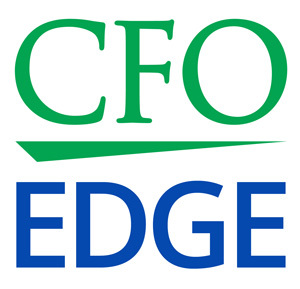 Consider talking with an outsourced CFO services provider as part of your strategic planning efforts—he or she can offer valuable input into the strategic planning process.